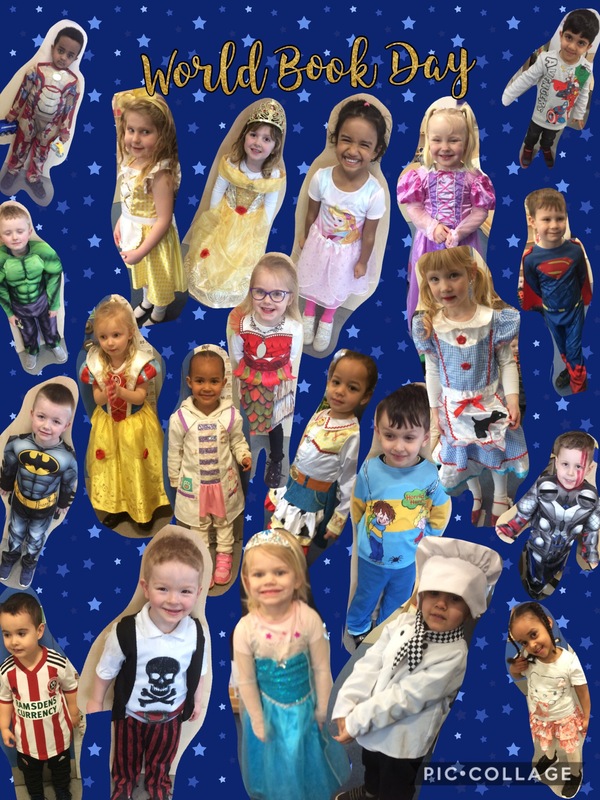 Update – Our Muddy Puddle Walk raised an amazing £306.50! Thank you for all your sponsors! 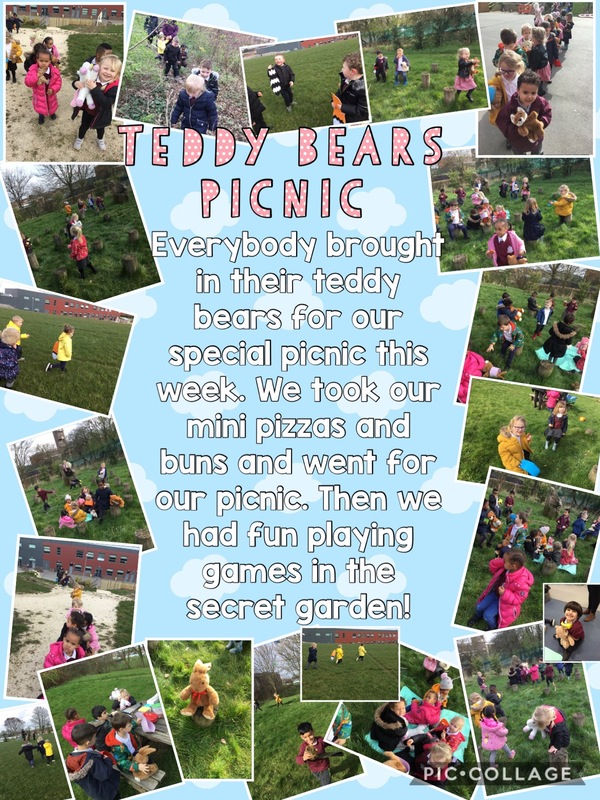 We went on a walk all around school, up and around the secret garden and around the new pitch at the top of our school, it was a long way for little legs! On the way we looked out for Peppa Pig and his friends hiding all around. It was a lovely sunny day but we still wanted some puddles so when we got to the top of the hill we tipped out buckets of water and jumped in the mud! When we got back we raised even more money by having a bake sale for parents and teachers. We had lots of fun and raised money for a great cause. We have talked a lot about charity this week and how there are people who aren’t as lucky as us. Everybody really wanted to look after other people and thought about ways we can help people. There were lots of questions and ideas about how we can help others. Click here to find out more about the Muddy Puddles Event and Save the Children. 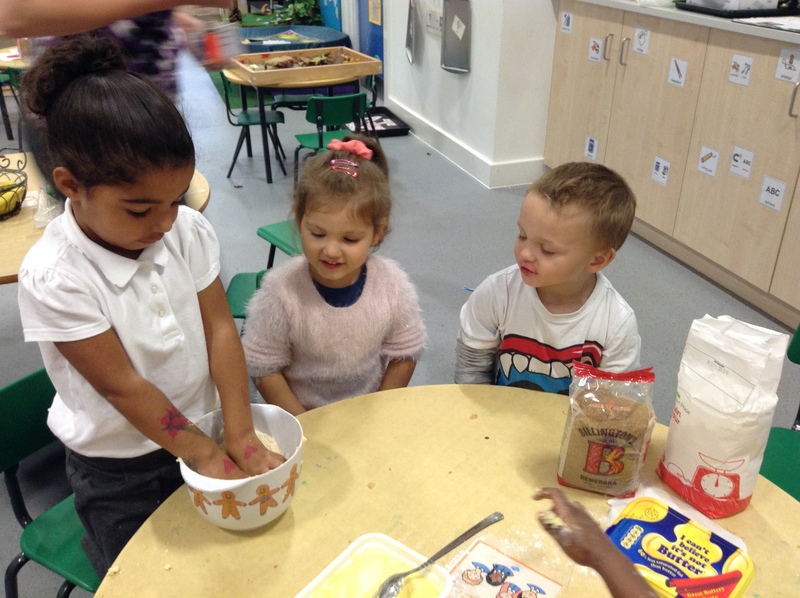 We had lots of fun following recipes and baking gingerbread men! This week we have been doing some elephant themed baking ready for Macmillan Coffee Morning (Today) and Grandparent’s Afternoon Tea (on Monday). We decided to make elephant cake pops. They were a bit messy! First we crumbled up cake and mixed it with frosting. Then we rolled it into balls and popped it in the fridge. After that we melted white and blue chocolate over a candle so the children could watch it change. Then we dipped the cake pops in and added buttons and icing for the elephant’s face. Then we made Elmer biscuits. 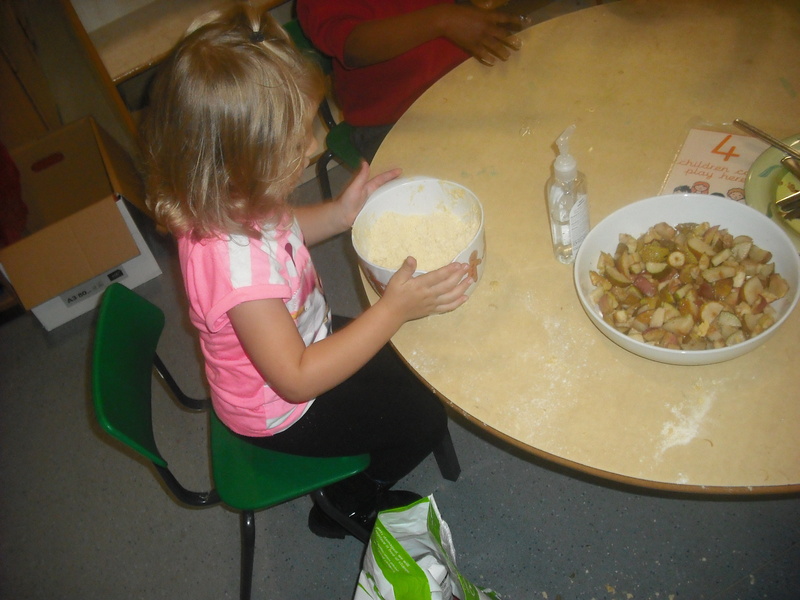 We mixed our ingredients and rolled them out and cut them into elephant shapes. Once they were baked we decorated them with icing sugar and smarties. Once all our baking was finished we took them to be sold for Macmillan Coffee Morning and bought some of our own! We had a lovely time baking. We hope everyone enjoyed our elephants! This week we have been doing lots of learning about elephants! Go and see the herd of elephants around Sheffield! 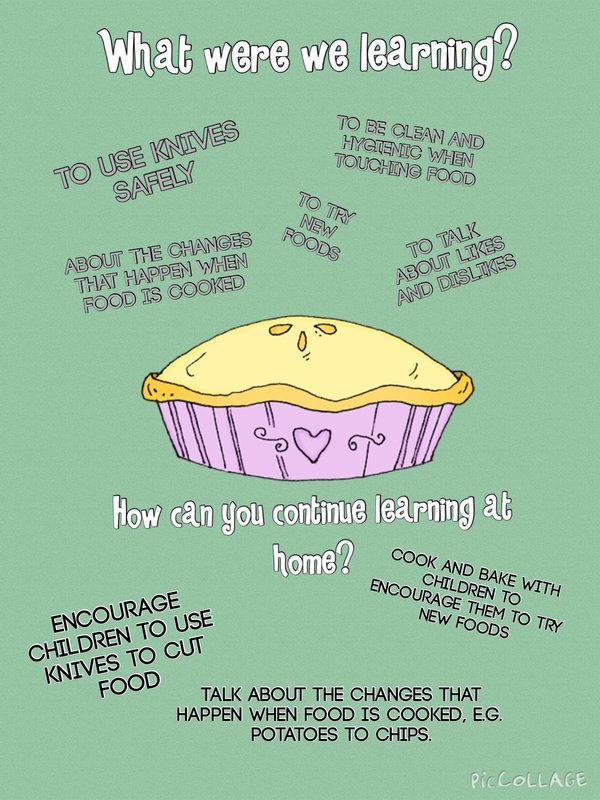 Do some baking of your own! Do elephants brush their teeth? Come back soon to see if we find the answers! Before the holidays we learnt about teacher’s two favourite things…coffee and chocolate! We were thinking about Fairtrade as part of a global Citizenship Week. As a whole school we think a lot about our community and the wider world. We celebrate Global Citizenship week where we think about issues that are important to us and the world around us. We did lots of Fairtrade baking and sold it to our parents and the adults in school. All the money we raised went to charity (see our post Fairtrade Bake Off to find out more). We played with chocolate slime making buns and sweets. To make at home mix 2 cups of white glue with half a cup of liquid detergent (not all detergents work, we use Alma from Aldi) and then you can add colours and scents of your choice. We added a heaped tablespoon of hot chocolate for our chocolate slime. We had lots of fun with coffee beans in the tuff spot. We added pestle and mortars, rolling pins, spoons and measuring jugs for grinding, pouring and measuring the coffee. 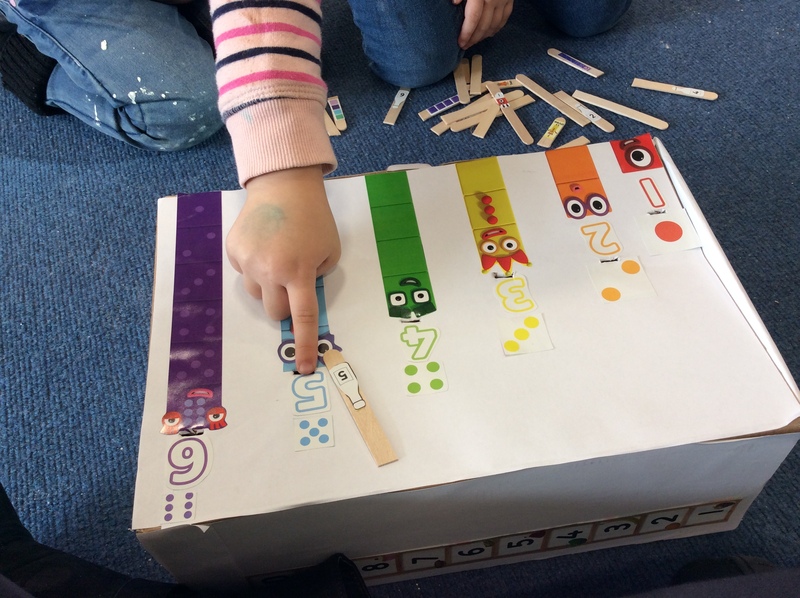 We counted the beans and found the matching numbers. We learnt about where foods came from. We did lots of work with maps, looking at maps of the world, of England, of Sheffield and of Manor Top. We even looked at a map of our classroom and used it to find hidden eggs. We had lots of questions about where things came from so we looked online to try and find the answer. TOP TIP – Try using the search engine ‘Kiddle’ it is like a child friendly version of Google with pictures to help choose web pages. 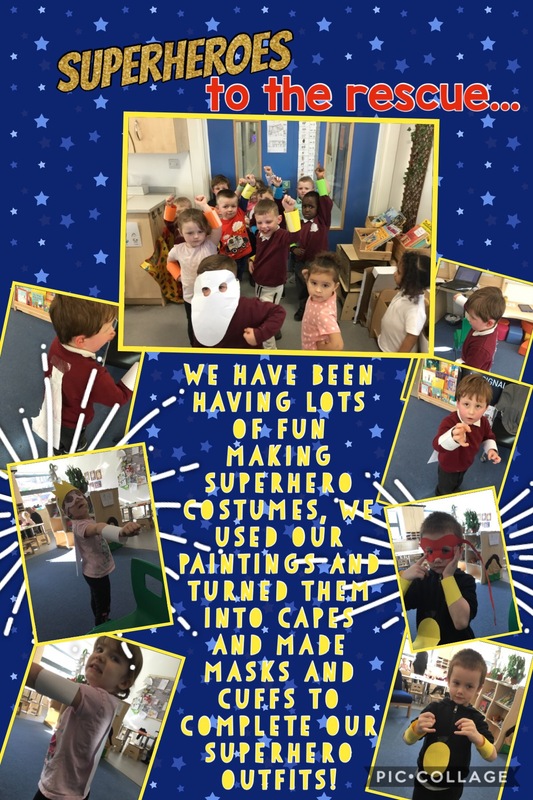 We also had lots of Easter fun! How could you continue learning at home? Why not see if you can spot the Fairtrade logo on foods at home or in the shops. Check packaging to find out how far your food has travelled. Use Kiddle to find the answer to a question. Follow the recipe above to make your own slime. Do some Fairtrade baking of your own! See if you can spot where you live on a map, do you know your address? 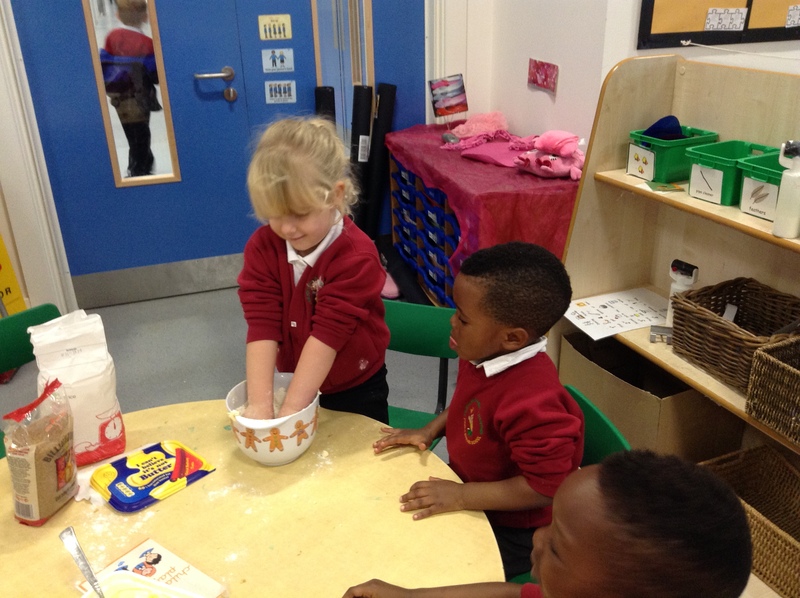 We had lots of fun baking for Fairtrade week. We sold our baking to our parents and the adults in school and raised an amazing £82 for Sport Relief. 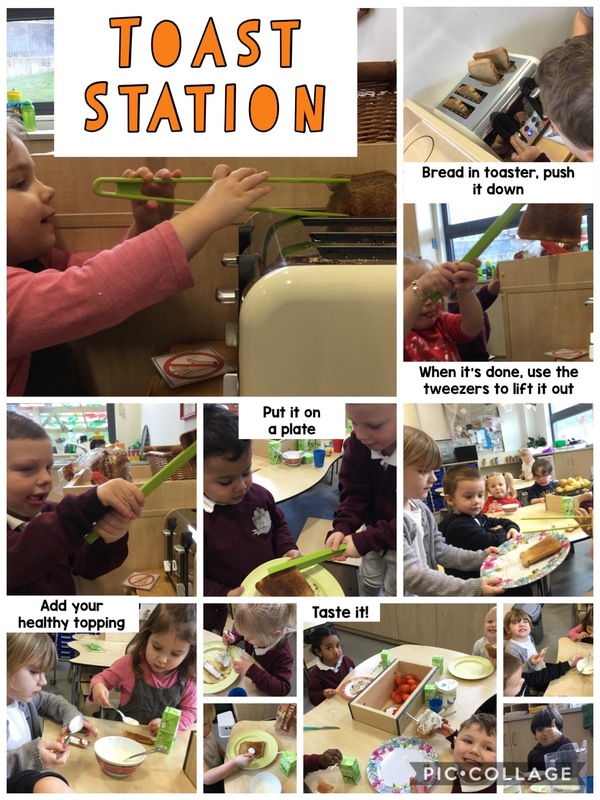 The children were in charge of choosing what to bake, baking, washing up, selling some of the baking, making a banner and even helped to count the money! We baked brownies, chocolate cake and coffee buns, a huge thank you to everybody who bought our creations, we hope you enjoyed them! We learnt what the word charity meant and why we might raise money to help other people. We talked about how some people might not be very well, how they might not have warm clothes, homes or families. 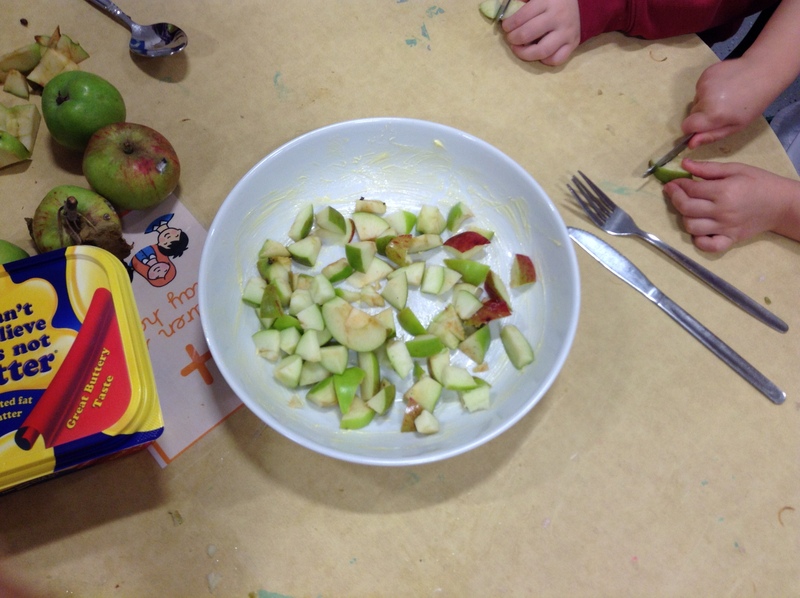 After our fizzy apple experiments there were still lots of apples left over so we decided to make apple crumble. First we decided how many apples we could need. We counted the children then counted out apples for the crumble, we added a bit extra so the grown-ups could try some too! 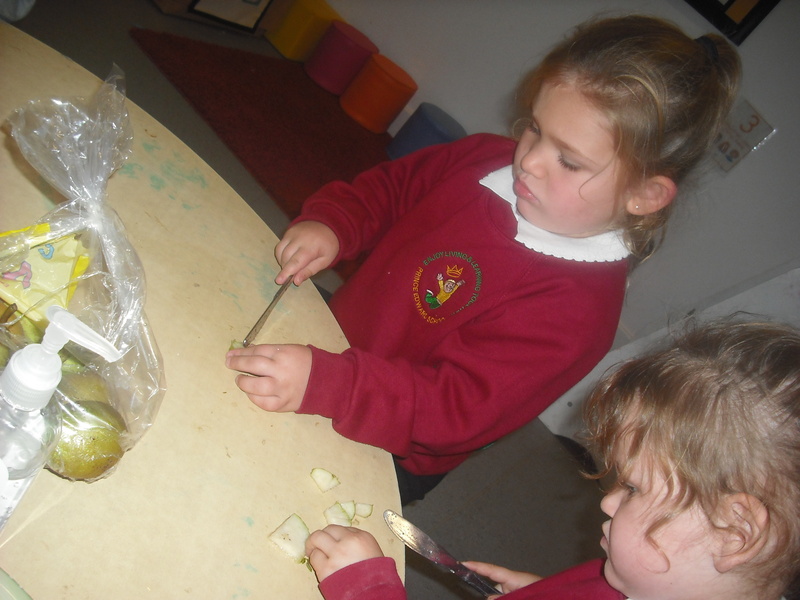 Then we cut the apples into small pieces. 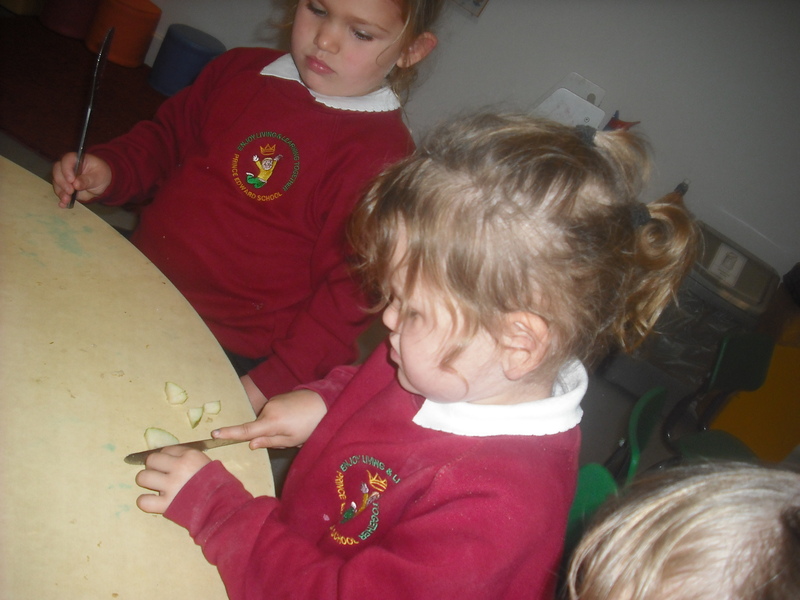 We had to be very careful when we used the knives so we took it in turns and told our friends how to hold them safely. 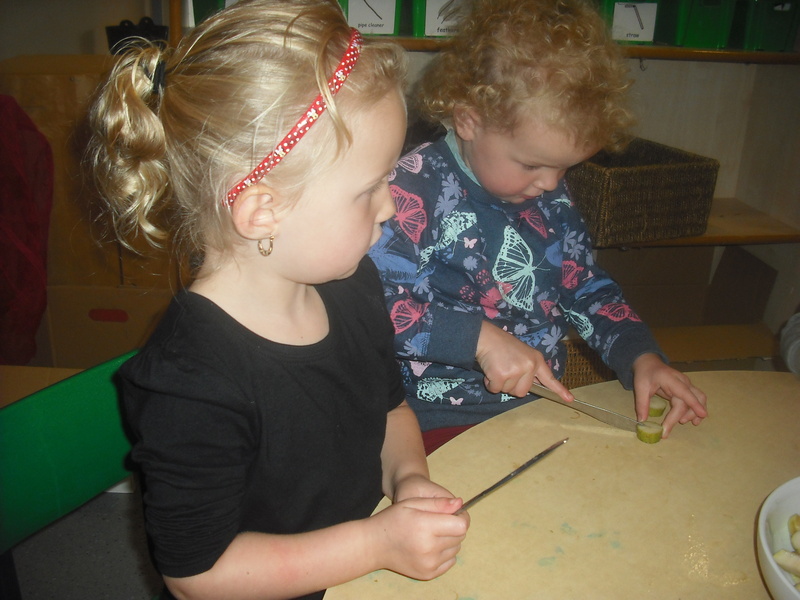 Once all the apples had been cut we put them in a bowl and sprinkled a little sugar on them. Next it was time to make the crumble. 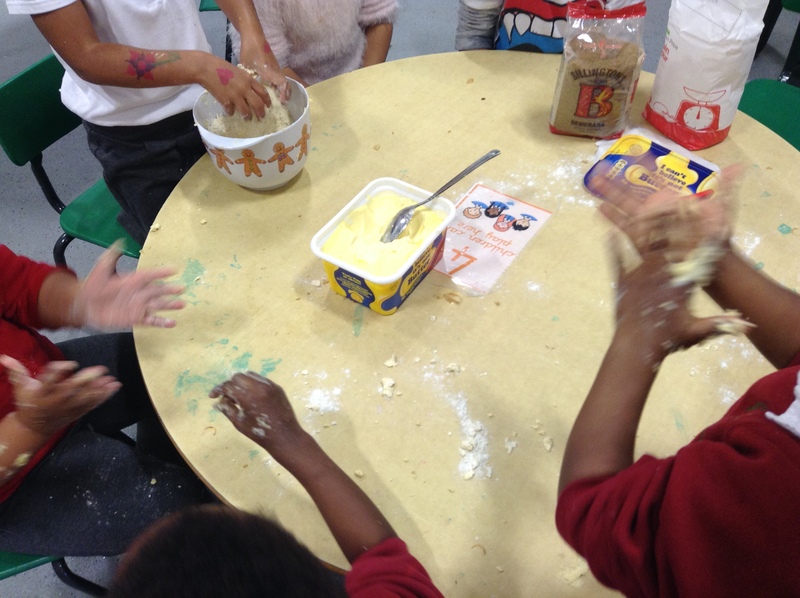 We followed the pictures on the recipe and mixed the right amount of butter, sugar and flour together. After that we had to make it crumbly. We pinched it with our fingers and rubbed it together to make it crumble into little pieces. We all took it in turns to make the crumble. 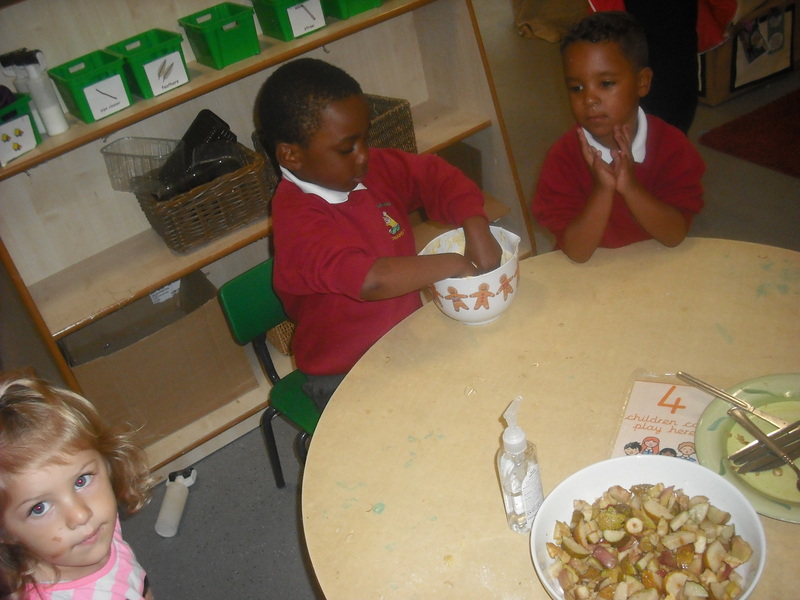 When we had made the topping we sprinkled it over the apples in the bowl. We had to make sure all the apples were covered. Finally it went in the oven to bake. Once it was cool we all had a taste, it was delicious.